When you want to become a ferocious warrior, you need to wear the fiercest armour. Add the Lion Bracers to your intimidating appearance and strategy. 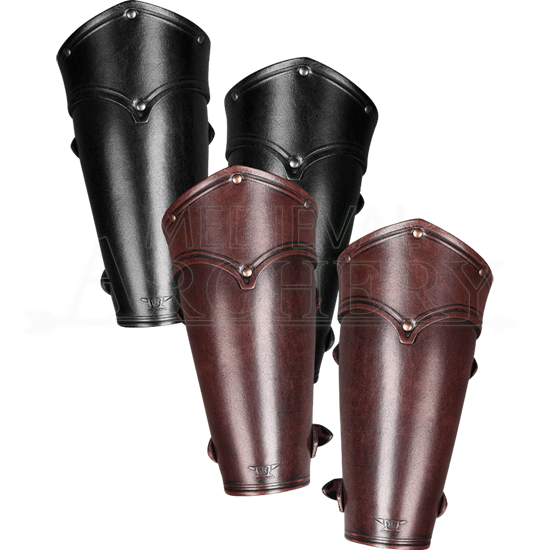 Available in two colors of leather, this pair of bracers secures to the arms with straps and buckles. The straps allow the bracers to be adjusted as needed. Decorative embossing and metal rivets adorn the premium leather bracers. 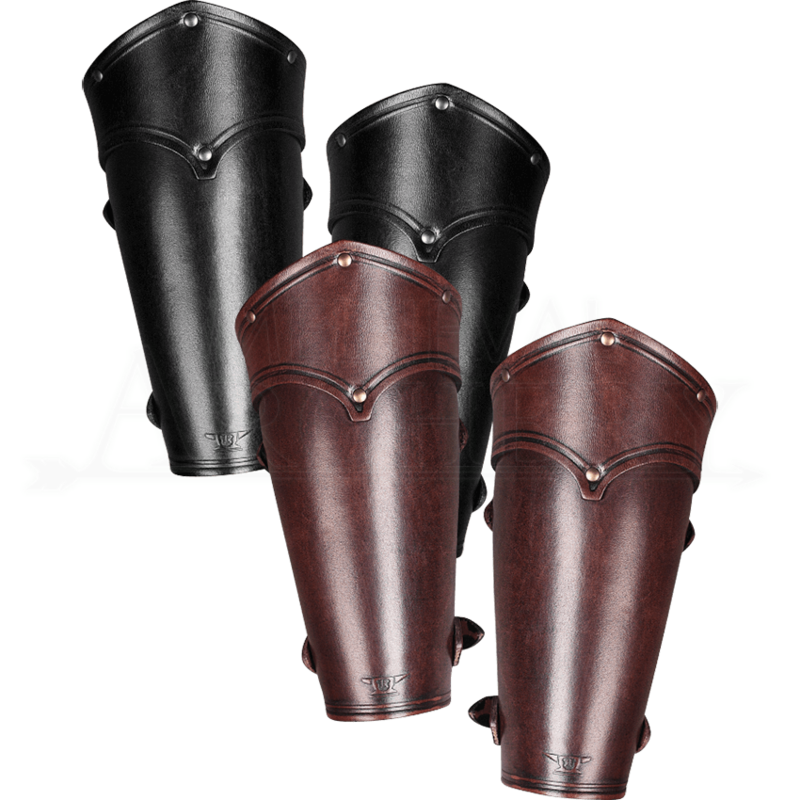 They are ideal for fighting a LARP battle or impress at a fantasy event.